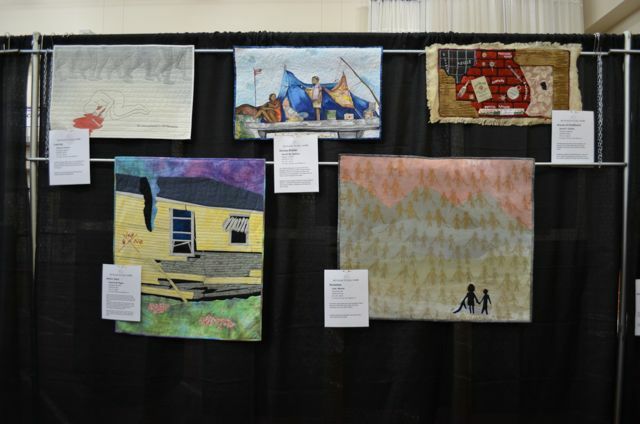 I have mentioned more than once the impact that Dena Crain has had on my development as a quilt artist. I have had the delight of studying with Dena both through Quilt University and in person. This morning I found a post on Dena's blog entitled, Ten Steps to a Better Quilt. 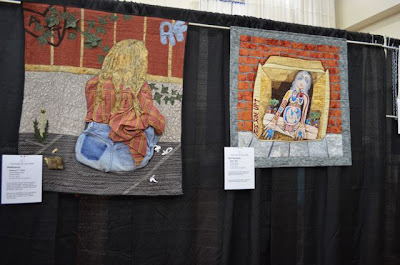 She covers many of the pitfalls that we as quilters could avoid with a little more conscious behavior. Tips range from washing all fabric to considering our batting to checking thread tension. Whether pro or beginner, I suspect you will find the list helpful. I know I did. I also noted that registration has opened for Dena's Goodbye to the Grid class at Quilt University. This is a design class for art quilters. And, having taken it over a year ago, I can assure you that if you sign up and participate fully, you will get more than your money's worth. Dena has an uncanny way of getting you to stretch and stretch and stretch some more. SAQA has had a traveling exhibit, No Place to Call Home, for the past year. 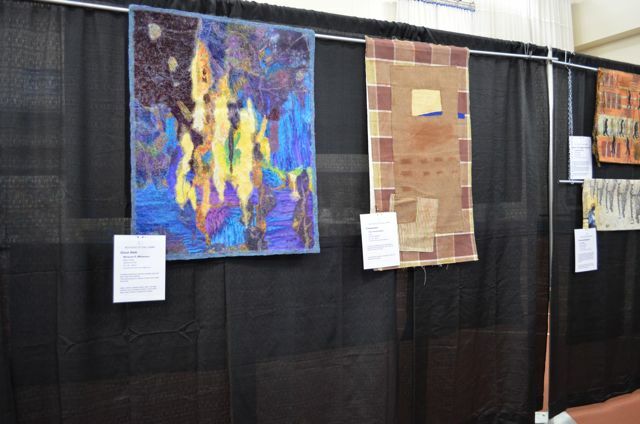 The last place that it could be viewed was at our local Genesee Valley Quilt Guild bi-annual show. 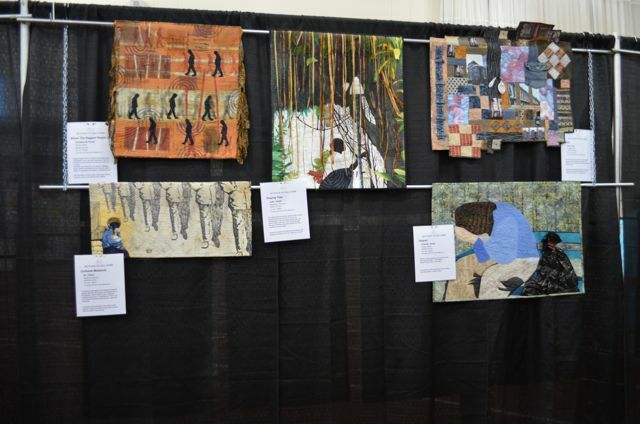 Here are a few photos of that last exhibit. I wasn't able to get photos of all 21 quilts but here are some of them. 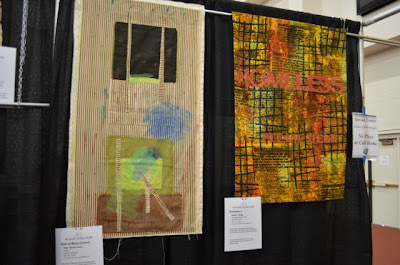 The exhibit was extremely well received in Rochester and I was honored to have my quilt, Homeless, as part of the exhibit. Much thanks to Kathleen McCabe who curated the exhibit and all who made the exhibit possible.